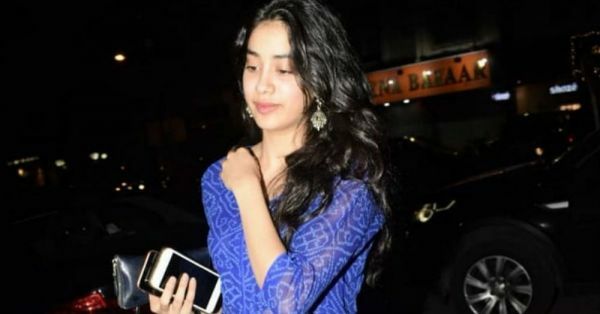 Janhvi Kapoor's Sheer Bandhani Suit Is Giving Us The Blues... And Not The Bad Kind! When it comes to off-duty dressing, there's little that compares to casual Indian wear in terms of comfort and style. Suits are breezy, easy to style and if done right, can put you in the hall of fashion fame. If you didn't think desi suits made for the best kind of streetwear, it's time you took a cue from the most stylish women in Bollywood, especially Janhvi Kapoor. It's no secret that Janhvi Kapoor has a soft corner for suits and sarees. Her airport looks always consist of some desi jewels, and there's no questioning the high fashion quotient each of them carries. 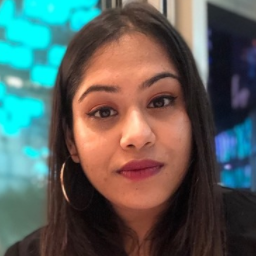 Once again, Janhvi showed us it's more than okay to want to sport some mellow Indian wear on occasions besides festivals and weddings. 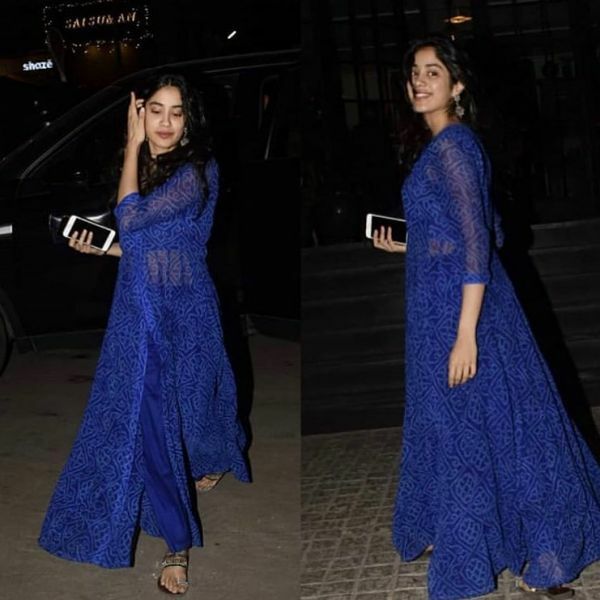 The Dhadak star took to the streets of Juhu, Mumbai in a striking blue ensemble that we're having a hard time forgetting. With an intricate all-over bandhani print across a deep Indigo blue, Janhvi's long, sheer Anarkali kurta reminded us of the bustling streets of Jodhpur. Her kurta carried a traditional yet contemporary vibe courtesy of the sleek tailoring, and the navel high centre slit. If you want to work a similar look, take note of Janhvi's matching relaxed fit indigo blue pants. Since her bandhani kurta was sheer, the Bollywood actress was smart to choose matching high-waisted pants rather than a mid-waist or low-waist pair. Her ensemble is bold and sophisticated at the same time, isn't it? Complementing her folksy outfit, Janhvi Kapoor threw in a pair of rustic drop earrings and embroidered toe-strap chappals. Combined with that glowing face of hers, Janhvi knocked the look out of the park and gets full points from us. Part of why we're digging her outfit is because there's beauty in simplicity, and Janhvi's off-duty look is simple yet unusually chic. Moreover, the colour looks fantastic on her. We're not going to lie, we always bookmark Janhvi's looks for the future, and we're not stopping any time soon.